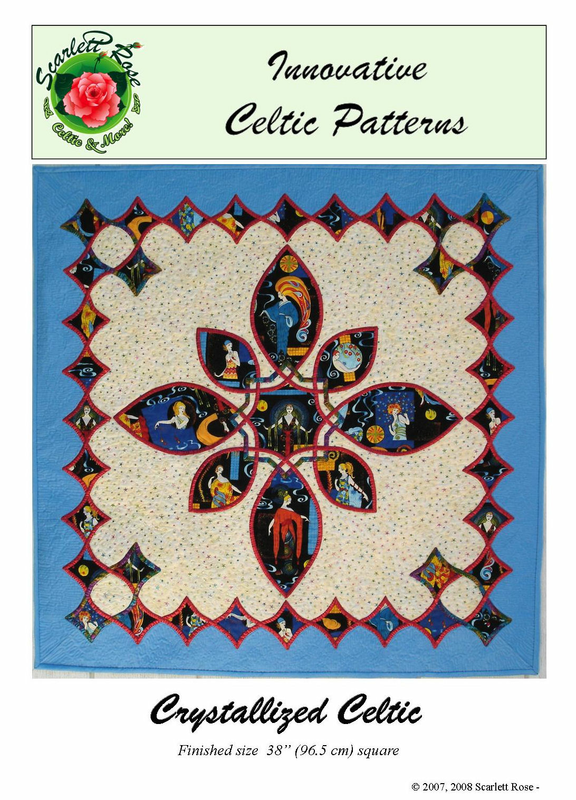 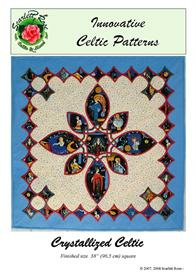 This 38" square wallhanging features Scarlett's new Celtic design, which is perfect for unique large scale prints or your own inkjet printed fabric. 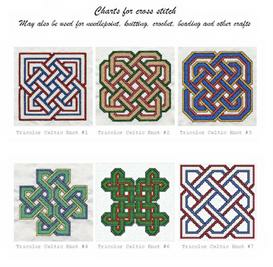 There are four 4 1/2" x 8" curved rectangular insets, four 5" rounded off square insets and one 6" center inset, plus an additional thirty-six 3" square insets for the Interlacing Lattice border, that could showcase your favorite large scale print or feature images printed on your inkjet printer. 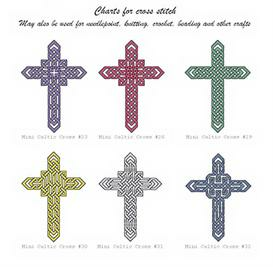 Detailed instructions are given for making machine sewn bias for hand applique and also for making fusible bias for machine applique. 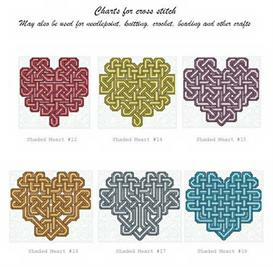 Scarlett's method for making an Interlacing Lattice border is included.